Suri's site. 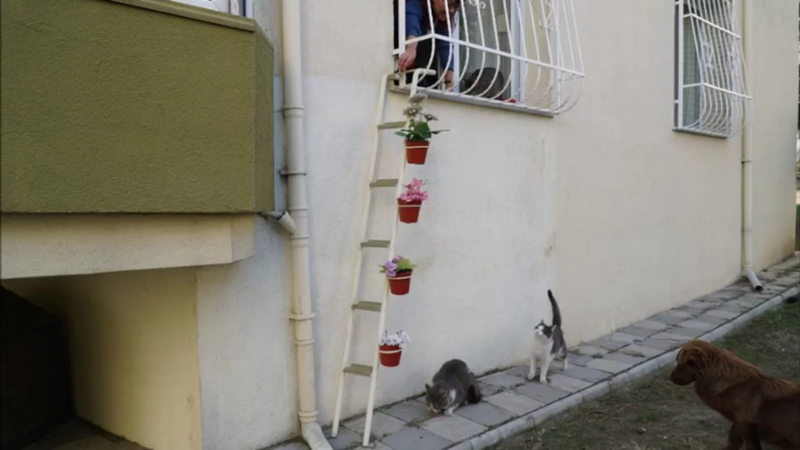 : Repost: Woman Builds 'Cat Ladder' So Strays Can Come In From The Cold "I wish no animal is hungry or thirsty, just happy." Repost: Woman Builds 'Cat Ladder' So Strays Can Come In From The Cold "I wish no animal is hungry or thirsty, just happy." 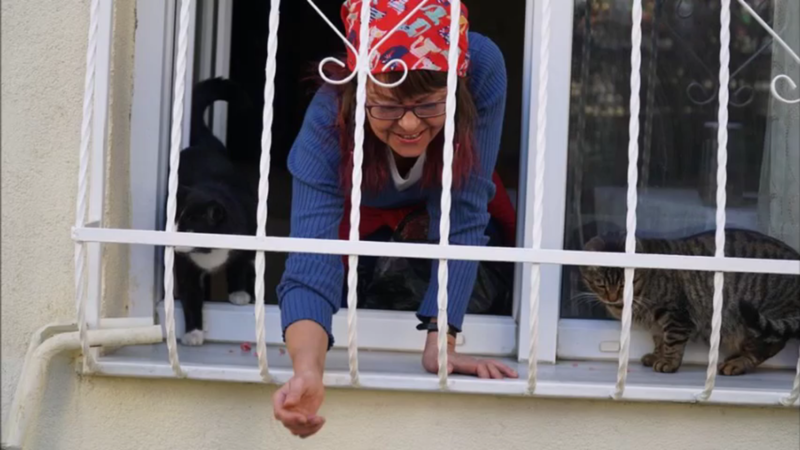 To say that Şebnem Ilhan is a cat lover would be something of an understatement. 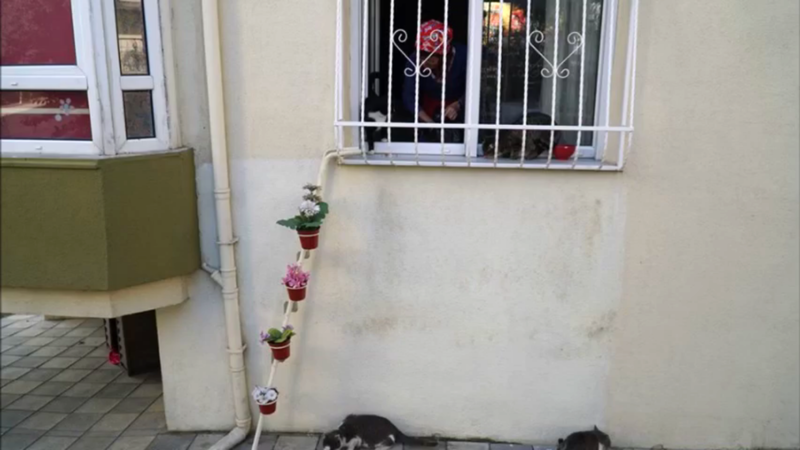 Not only has she opened her heart to stray cats living around the neighborhood — she's opened her home as well. And she even devised an adorable way to invite them on in. Ilhan works as a dentist in the town of Tekirdag, Turkey, where winter has been particularly chilly this year. Fearing that homeless cats would suffer being stuck out in the cold, she decided to make it easy for them to find refuge through her window. But how would they make it up there? Ilhan had that part covered. "I made the ladder so the cats can come into my comfortable house," she told The Dodo. Ilhan said that she was a little worried at first that her neighbors might not take kindly to the little stairway for cats leading in to her home, so she added some extra ornamentation. "I thought if I put some flower pots there, it wouldn't bother anyone," she said. But the reception has been overwhelmingly positive — especially among the countless kitties who have taken advantage of her offer of a warm place to rest. 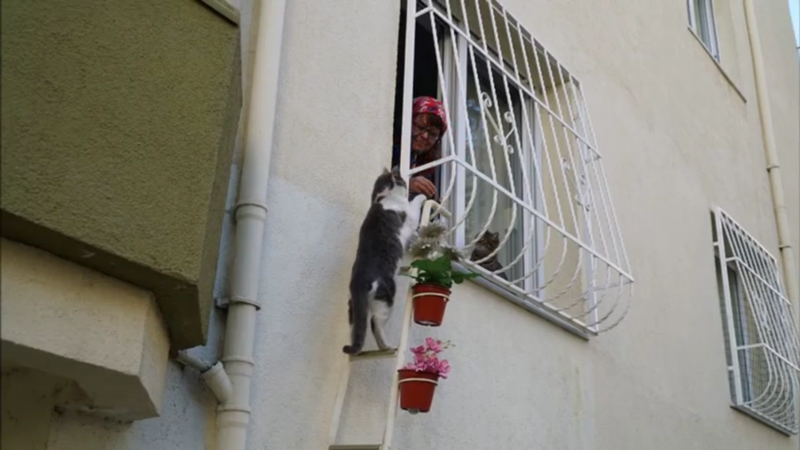 The 'cat ladder' is just one of the ways Ilhan has worked to make a difference for needy pets. 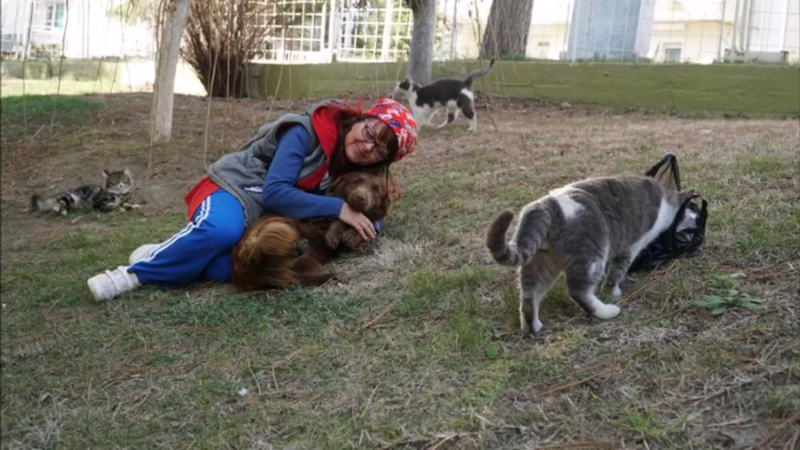 She also volunteers her time to see that stray dogs and cats throughout her city are cared for as well. "I wish no animal is hungry or thirsty, just happy," she said. "This world is not just for people." Below are the posts from news. in a few strokes: on the Ebro banks - *[by Javier de Blas in La Rioja] *The afternoon goes away while I drink a beer with my family. At the gates of summer, the days come loaded with gifts. When the weather is hot - The post When the weather is hot appeared first on HaqIslam. 4 Tried & True Tips for Adding Watercolor to Your Urban Sketching - [image: How to Add Watercolor to Urban Sketching] Take your urban sketching even further when you add watercolor! Message from the Pen | Changing the world … One message at a time! Heart - How to make our heart feel alive… … Is by remembering the One who creates us and the purpose of this life! The Right Dose of Nerves?